WhatsApp for Android; WhatsApp has worked to introduced several features in WhatsApp and the most discussed feature is the new ‘Forwarded‘ label. Now, ‘Mark as Read’ button is its initial development phase. 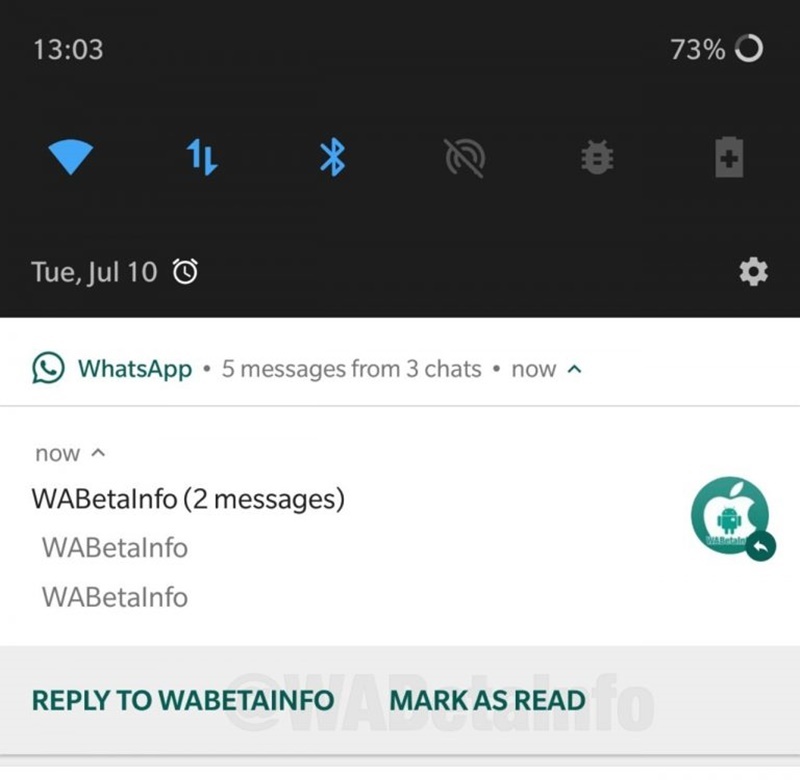 Facebook owned WhatsApp is currently working on ‘Mark as Read’ feature for the notification as per WABetaInof reports. This feature will let users to mark it read message directly from their notifications panel, without visiting the app or opening the chat. The ‘Mark as Read’ Button placed at the right of the notification card and pushes the ‘Reply to’ option further toward the left. Currently, this feature is in its initial phase and will be rolled out with upcoming beta version Android 2.18.214. Besides ‘Mark as Read’ button, WhatsApp is also testing a feature that will let the users to mute the chat quickly straight from the notifications. Possibly it will be the shortcut button exactly like ‘Mark as Read’ Button. Until now, WABetaInfo has revealed only the screenshot of Mark as Read Button that how will it look. No visual information has been revealed about the ‘mute’ chat button. WhatsApp is also testing security feature known as Suspicious Link Detection Featureto limit spam circulation.